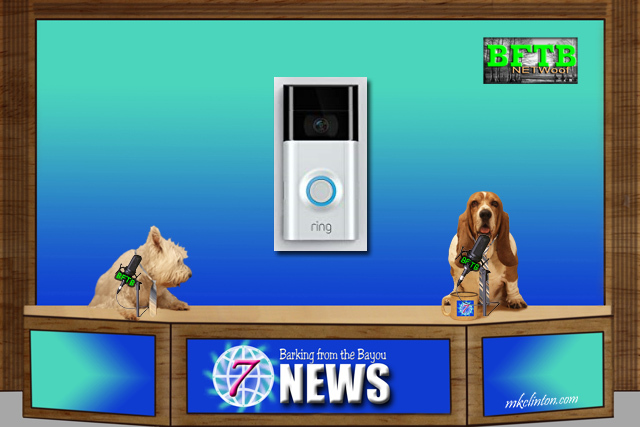 Bentley: “We have discussed how much we love our Ring doorbell. It is a wonderful way to monitor your home for deliveries, visitors or in some cases, emergencies. 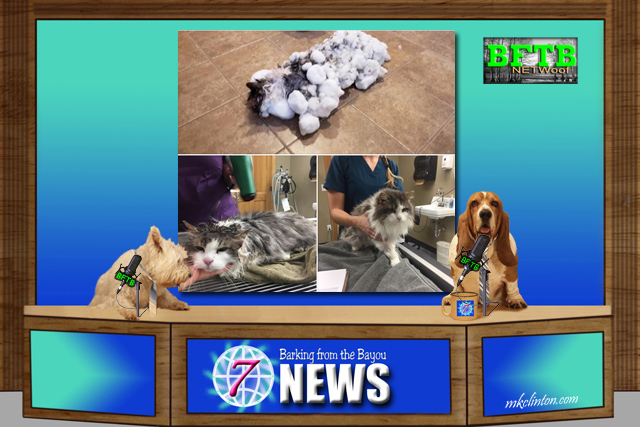 Bentley: “We stress the importance of bringing your dogs and cats inside during extreme weather but there are still stories like this one that tell us we need to bark it every day! Fluffy the cat lives in Montana where this winter has been brutal. Her owner found the cat nearly frozen and unresponsive in a snowbank after being left outside in the frigid weather for hours. They rushed her to the vet where her temperature was so low it didn’t register on the thermometer. The vets used warm water, warming blankets, heating pads and a heated cage to bring Fluffy back around. We are happy to report that she has not only made a full recovery but is an indoor cat forever! 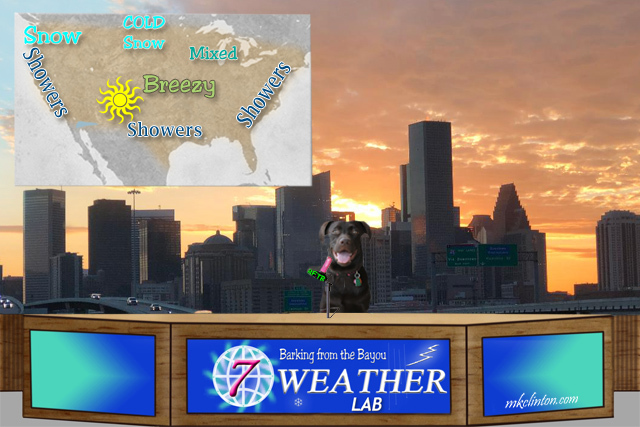 Paisley the Weather Lab: “Let me start by saying how proud I am of my fellow Labs for being so awesome. As for the weather, it will be less than awesome this week. The Pacific Northwest will get clobbered with more snow before temps begin to rise. That cold snowy weather is going to continue its trek across our northern states bringing cold, snow or a wintery mix. If you live along the east coast, west coast or the Gulf coast, you can expect showers through the week. I don’t think it will be anything major just more of an annoying rain. It’ll be breezy in the center of the country and if you are looking for sunshine, head to Colorado! 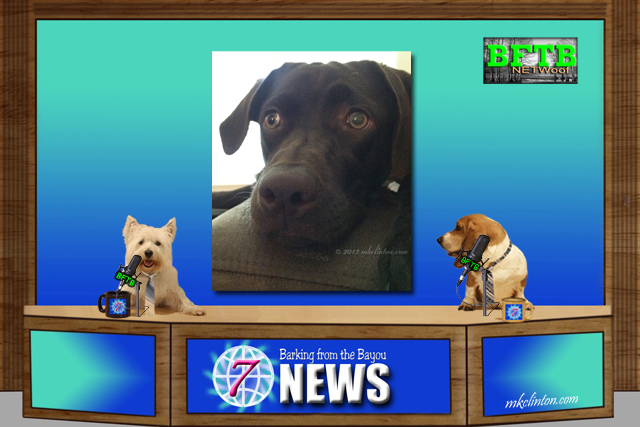 Bentley: “Thank you for joining us this week on BFTB NETWoof News. We appreciate your support and would love for you to share our link with your friends and followers. Have a great week! We woke up to snow and our school has a 2-hour delay. It is dangerous for older people to be outside without at least a cellphone because they do fall and can't get up. Gramma has a friend who fell and could not get up. She had to crawl back into her house with broken ribs and a broken wrist. Luckily she made it. Scary stuff! What great stories today, guys. We are so happy for Freya! Westminster Dog Show is on tonight and tomorrow. Will you be watching? Movie stars always get followers. We hope Freya finds someone to love her for who she is. Bravo to Michael Bay, Freya and the hero Lab. We're so happy to hear the near frozen kitty has a new life ahead of itself...indoors. Stay warm this week! Poor Fluffy, I am glad she is OK.
Great news, boys. We loved reading about Midnight - what a pawesome dog!!! It's terrific when animals help each other and their humans! Heart-warming! If being a movie star can't get you a home, what can?? We sure hope things work out for Freya. 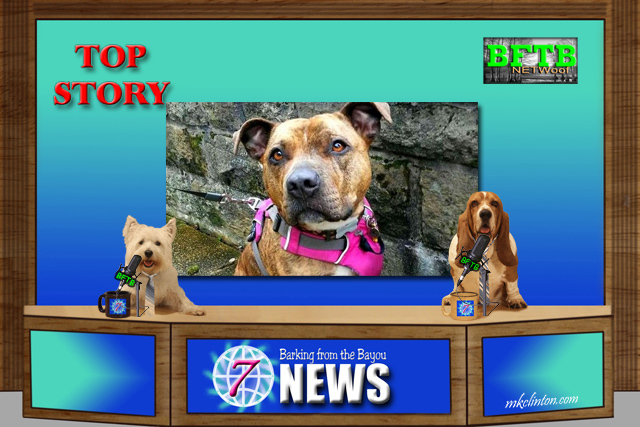 Great stories this week!! We sure hope everyone stays warm and safe. Those are some great stories! Hooray! Isn't it just amazing how pets can sense danger and alert people?